Did you know a blue jay’s feathers and a butterfly’s wings aren’t actually blue? Neither are your blue eyes. Pure water is, but only very slightly. From the colors we see in flowers and birds, to the hues we use in art and decoration, there’s more than one way to make a rainbow—and it all starts with molecules and structures that are too small to see. For pigments, ultramarine, or lapis lazuli, and red ocher have adorned art throughout history. But there’s also carmine, the vivid shade of crimson made from the cochineal beetle, and vermilion, the vibrant scarlet color made with mercury sulfide. All of these are molecules that absorb some light and re-emit the colors we see. On the other hand, most animals create blue not with blue substances, but with tiny structures that bend light. Stripped of these, a blue jay’s feathers would look a dull brown. Biologist Andrew Parker explains how these structures work in nature and why we might someday want to mimic them. Plus, even house paint is more complicated than you think. Chemist Mas Subramanian explains why stability, safety, and affordability are a rare combination in pigments, and how his accidental creation of a new blue has taken him down the rabbit hole of hunting for something even more elusive: red. View some of these exquisite hues (and their subsequent structural colors) below! Mas Subramanian is a professor of Materials Science in the Department of Chemistry at Oregon State University in Corvallis, Oregon. Andrew Parker is a senior research fellow in Green Templeton College, University of Oxford, and author of Seven Deadly Colors (Simon & Schuster, 2005). He’s based in Oxford, United Kingdom. IRA FLATOW: This is Science Friday. I’m Ira Flatow. I promised you before the break we would talk about color and things you thought you knew about color. Here’s the first stuff that we’re going to throw at you. Peacock feathers, blue morpho butterflies, and blue human eyes– besides their color, they have one thing in common– what is that? They are not actually blue. That is, they don’t contain any blue pigment– molecules that reflect blue light the way a paint or dye works. Did you know that? Well, now you do. How do we look at them and see blue then? It’s a trick– tiny shapes– too small to see– bounce and bend white light– they break it up, and send back only the blue. Here’s another one for you. Red pigment– did you know it’s harder than you think, and usually either less stable, or requires toxic chemical elements to achieve the perfect hue for, say, painting a Ferrari? And throughout history, artists and chemists have worked hard to make pigments that pop and can stand the test of time, but what gives us that hue in the first place? Pure physics. The jumping of electrons, the absorption and emission of energy, and the arrangement of atoms inside molecules that makes all of this happen, and that’s what we’re going to talk about. Everything you wanted to know about color. Here to talk about color and the invisible processes that bring it out to your eyeballs are my guests. Let me introduce you to Mas Subramanian, professor of material science at Oregon State University– he joins us by Skype from Corvallis. Welcome to Science Friday. MAS SUBRAMANIAN: Good afternoon, Ira. Thanks for having me on the program. IRA FLATOW: It’s our pleasure. Andrew Parker, research fellow at Oxford University’s Green Templeton College, and author of Seven Deadly Colors– he joins us from London. Welcome to Science Friday. ANDREW PARKER: Hello, and thanks for having me on. IRA FLATOW: You’re welcome. Mas, let me start with you. I’ll start with a simple question, though, maybe the answer isn’t so simple. How do we look at a painting– we see all those different colors– what is going on between what’s in the paint– the matter of the paint and our eyes? MAS SUBRAMANIAN: The pigment of the dye which is used in the painting is the color and material that actually deflects part of the light which is not absorbed in the visible range. Whenever you see a color, they all come from [INAUDIBLE] wavelength absorption. IRA FLATOW: So you’re saying that if white light, let’s say, falls on the painting, it absorbs all the colors of that white light except– let’s say if it’s red on the paint, that’s what reflects to our eyes? IRA FLATOW: And Andrew, but not every color we see in nature comes from a pigment, especially blue. IRA FLATOW: Give us an example of– the blue jays feathers, blue eyes, or butterfly wings– those are not pigments, right? ANDREW PARKER: That’s right. Actually, they’re some of the brightest colors that exist in nature, but they are made from completely transparent materials. 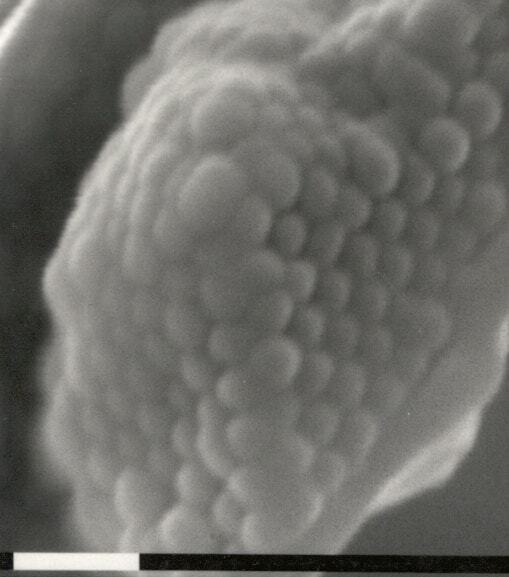 So these are materials that have microscopic structure where you look at them in an electron microscope, you can see that there are all sorts of architectures in there, almost like tiny buildings. And light comes in and bounces, and reflects, and refracts, and again, some of the wavelengths pass through, so you don’t actually see those, and other wavelengths are actually reflected– you get constructive interference for those. So that’s the color that you see. IRA FLATOW: And why is blue involved in so many of these things? ANDREW PARKER: Yeah. That’s a good question– we’ve been working on that for a while. The one interesting thing is that when a structural color– these colors made from structures– they tend to be quite a large range of wavelengths with a peak in the middle, and quite often, you see the color of that peak, plus the bits either side of it. Well, blue is actually next to ultraviolet in the spectrum, so you can actually have your range of wavelengths in the ultraviolet and the blue– so you only see blue and ultraviolet. Well, we don’t see ultraviolet, so we just get the blue. If you do that in the green, for example, you’d also get a bit of yellow and a bit of blue. It doesn’t quite work as well for other colors. So blue is the handiest. But also, there’s an option to make reds, greens, and yellows from pigments. Much more than there is for blues in nature. IRA FLATOW: Interesting. Mas, I know that 10 years ago, you were looking for semiconductors, and then you found a brand new blue pigment instead. How does that happen? MAS SUBRAMANIAN: Well, in 2009, we are doing some research that focused on the discovery of some exotic material that we thought would be useful in electronics such as computers. In fact, the product has nothing to do with the discovery of color pigments. We made a series of compounds which are oxides– three elements– yttrium, indium, and manganese, and we heated them up to high temperatures to study their magnetic properties. Next day when I went to the lab, the student picked out the sample, it all became brilliantly blue. It was very vivid blue, just like what you see in morpho butterflies. I was really shocked because these are not supposed to make a blue pigment or blue materials, because manganese oxides normally form black or brown. So at the beginning, I thought we made some mistake. So then we repeated the experiment– and then we could reproduce it. Then, after studying the crystal structure of this material, we found this manganese is situated in a very unusual surroundings, or coordination, that seems to act as a chromophore, and absorbs in the orange region, giving rise to this vivid, blue color. And it was very stable because we heated this to very high temperatures, like 1,200 degrees Celsius, or about 2,200 degrees Fahrenheit– so definitely very stable. And also, it is very stable to water, oil, or acid and alkaline. 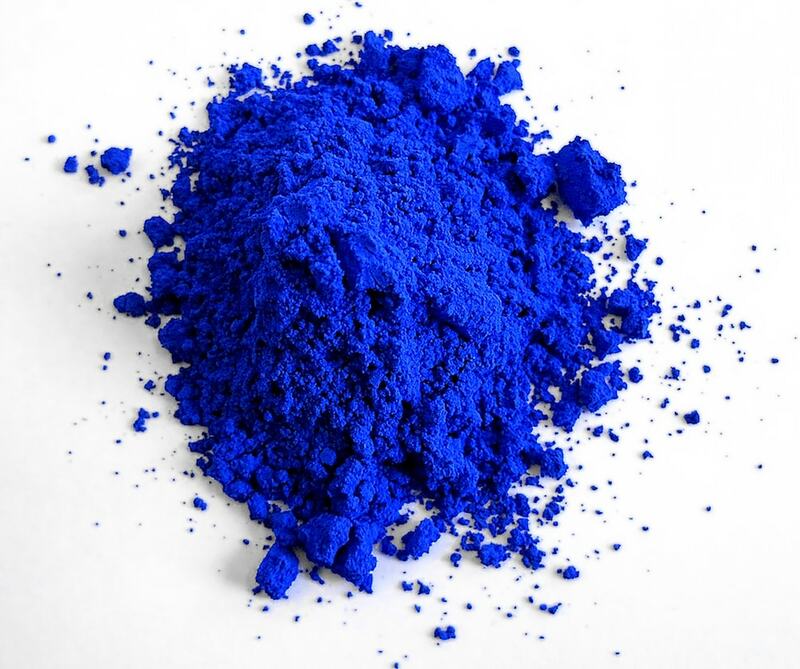 So then I thought, immediately, that it can be a very good blue pigment– I know it’s hard to make. IRA FLATOW: [CHUCKLING] Speaking of hard to make, I know that you’re looking for red now. Why is red so difficult? MAS SUBRAMANIAN: Well, historically, the red pigments always contain some toxic elements like cadmium– you know the cadmium sulfide– cadmium selenide, which forms what we call a solid solution, which creates the cadmium red pigments. And they are not very stable to high temperatures, and also, they have toxicity issues– cadmium is a plastic– it’s a carcinogen. Same thing with mercury sulfide, which we call vermilion, which contains mercury and sulfur, which also gives rise to very vivid red color, but unfortunately, mercury is toxic. So if you look at all these materials, their colors come from electronic structure of the material, and they are semiconductors. IRA FLATOW: But my question– I can go get my crayons, or I can go to the paint store and tell them, hey, make me red– they don’t have any problem with that. Why are you surprised that you can– find such difficulty in making red? MAS SUBRAMANIAN: Because most of the red pigments are– dyes used in crayons– mostly based on organics. And they are not as stable as inorganic pigments like the one I talked about. So if I can make a very highly stable red pigment which is durable, very stable, nontoxic– there is a lot of other applications like outdoor paintings. You don’t see that much red painting outdoors because it can fade under the UV light, or under the sun. So there is always a lot of demand for highly stable, durable, inorganic pigment in the paintings. IRA FLATOW: That’s why the car people want it– they’re going to be sitting out in the sun all the time. Let’s go to the phones– let’s go to Pittsburgh– let’s go to Austin in Pittsburgh. Hi, welcome to Science Friday. AUSTIN: Hi, thanks for having me. IRA FLATOW: Hi, go ahead. AUSTIN: So I had a question about if you had a piece of paper that had red ink versus black ink, what is it about the molecules in the ink that allows them to absorb certain wavelengths versus reflecting certain wavelengths? Do those wavelengths that get absorbed and reflected or respond to molecular vibrations at the atomic level? IRA FLATOW: Andrew, can you answer that? ANDREW PARKER: Well, this is really a question of pigments, and it’s about the amount of energy that can be absorbed. So when the pigment eats up the energy coming from the light, it causes electrons to jump around the molecule. So it leaps from atom to atom around the outside of the molecule, and as it does, it loses a little bit of energy as heat, and eventually get eaten up. So it’s just the characteristic of those particular molecules, and the atomic and molecular arrangement that allows some to eat up quite a lot of energy, and some a little less so. MAS SUBRAMANIAN: Yeah. In the case of the red, for example, the pigment, which is maybe organic, may be due to what we call charge transfer. The charge transfer from one molecule to another molecule in the organic compound. The same can happen in organic too. The same thing with the black– black pigment is made when all the wavelengths get absorbed, just opposite of white, which reflects all the colors. The color in any pigment comes from various mechanisms. It can be a semiconducting mechanism, just like in red pigment, or it can be a charge transfer, or it can be what you call– as an electron transitions in transition metal elements, like nickel, copper, manganese. So there are several mechanisms. That’s why it is very difficult to predict the color of the compound– you make it in the lab. It’s very hard to design a material for that particular color because there are so many different ways the color can happen, and also so many different ways the color can be destroyed, because you may have defects, [INAUDIBLE] stochiometry, and so on. IRA FLATOW: Let’s talk about one of my favorite subjects, and that is rainbows– that let’s light that’s refracted and bent. Let’s talk about how sunlight enters the raindrops, and it has to be a certain angle– refracted– bent out. Andrew, tell us how a rainbow is able to produce all those colors? ANDREW PARKER: Well, when you see a rainbow– when the sun is behind and you’re looking into rain, what happens is each of those raindrops acts as a tiny prism. So the sunlight enters the raindrop, and it bounces off the far surface, and comes back out towards you. But the refractive index of water is slightly different to air, and it causes the white light to split slightly. So each color diverts slightly into a different angle, and that spreads it out into a spectrum, just like you see coming from a prism. IRA FLATOW: So if I’m standing 20 feet away from a person, I’m seeing the light coming from different raindrops than that other person is. So am I, in effect, seeing a different rainbow? ANDREW PARKER: Yes, that’s right. The rainbow is in a slightly different position. IRA FLATOW: So we each have our own rainbow that we’re looking at? ANDREW PARKER: Yeah, absolutely. Which means there no end to it, unfortunately. IRA FLATOW: So if you see a rainbow from an airplane, which I have seen, it’s circular– it doesn’t end anywhere. ANDREW PARKER: That’s true– absolutely. Because then you’re looking onto rain from all directions. So when we’re looking at rain against the horizon, we only see from the horizon upwards, so we only see half the circle. IRA FLATOW: Let’s go to the phones. Richard in Cuyahoga Falls, Ohio. Hi, Richard. RICHARD: Hello, Ira. Thank you for taking my call. IRA FLATOW: All right, go ahead. RICHARD: I have a quick question on why– I’m basing this on a Wikipedia article I read a while back. The article said, or seemed to suggest, that purple is a manufactured color, but violet isn’t– it’s a natural color, and that violet can’t be manufactured. Can Andrew explain that? IRA FLATOW: Let me remind everybody first, Andrew, that– if I might interrupt– this is Science Friday from WNYC Studios. Yeah, go ahead. What about this? Is it true that violet cannot be manufactured, Andrew? ANDREW PARKER: Well, violet is one of the colors in the spectrum– one of the seven or six colors, whichever you prefer– so it can’t be broken down any further– it’s a pure color. Whereas purple is actually a mixture of two of the colors in the spectrum– it’s a mixture of red and blue. And you sometimes get this occurring naturally in structural colors where we get a primary spectrum being reflected– then you’ll also get secondary spectra. The start and the end of each of those spectra can sometimes overlap, so you can get blue and violet overlapping, which will cause the purple color. And you do see this in nature– you do see purple feathers, for example, that are caused by that overlapping. IRA FLATOW: Mas, let me ask you about something I had mentioned earlier on, and that was interesting news or interesting ideas about gemstones. Aren’t rubies very closely related to a transparent, colorless crystal? MAS SUBRAMANIAN: Yes, the ruby is made by substituting a small amount of chromium in a random structure, which is nothing but aluminum oxide. So when you put a small amount of chromium, it creates electronic transitions that are trying to jump from one level to the other level. Then you create this absorption in the blue region, and give rise to this brilliant red color. And the interesting thing about the emerald– even if you have chromium, it doesn’t always produce red color. In the case of emerald, for example, when you substitute chromium in another structure, which is similar to a corundum, you get a green color. So it is very hard to tell– always, the chromium will give rise to the blue color, or a red color, or sometimes just a green color. So that’s why it’s difficult to predict the color of the compound. You make it in the lab, and test the crystal structure, and see where the color comes from. IRA FLATOW: Is it true that– I heard that water is slightly blue– I mean natural. We know about the deep blue sea, but water has a blue tinge to it? MAS SUBRAMANIAN: Yes, it is very true. Unlike sky which comes from Rayleigh scattering, water is inherently blue. When water is in small quantities, appears colorless to the human eye. It is easy to see the blueness of the water in sufficiently deep oceans, or lakes like the Crater Lake in Oregon, or in glaciers. The blueness of the water is not due to the reflection from the sky as we always think about. It is actually due to the vibrations of water molecules because water is a bent molecule. They undergo three kinds of vibrations– these vibrations create what we call overtones, just like in music. So that absorbs near the red region, giving rise to this pale blue color to the water. But if you have, instead of normal water, a heavy water, like D2O deuterium substituted for the hydrogen, the water becomes colorless because now it absorbs in the far infrared region. IRA FLATOW: Well, look, save it for the break because we have to take a break. You sound like you have something great you want to tell us. We’re going to take a break, and come back and talk lots more about colors. Our number– 844-724-8255. Stay with us, we’ll be right back after this break. I’m Ira Flatow. This is Science Friday. We’re talking about colors and all the different things you didn’t know about colors, which I certainly do. We’re talking with Mas Subramaniam, professor of material science at Oregon State University– Andrew Parker, research fellow at Oxford University’s Green Templeton College, author of Seven Deadly Colors, and he’s in London. And before I rudely interrupted you Mas, you were going to tell us something fantastic that we didn’t know! MAS SUBRAMANIAN: Well, what I wanted to say was when the water doesn’t have any hydrogen bonding– that is the bonding between hydrogen and oxygen from one molecule to another molecule, the water will be an even more intense blue, so we’ll be drinking blue water and taking showers with blue water. Because of this hydrogen bonding, we shift the absorption more towards near infrared, so that makes the blue color more pale and difficult to see. IRA FLATOW: Does that mean we could find water that’s different than hydrogen bonding? MAS SUBRAMANIAN: It’s harder to do because whenever you have a hydrogen and oxygen, because one has got a highly electronegative, the other one has got electropositive, they’re trying to form a bond which creates what we call a weak bond– that weak bond is called a hydrogen bond. So it’s very hard to do it. But somehow, I feel like maybe it will exist in the future, but right now, I don’t have any example of water which can show a deep blue color. IRA FLATOW: Let me go to the phones– 844-724-8255. Let’s go to Orlando. Cathy, welcome to Science Friday. IRA FLATOW: Hi there. Go ahead. CATHY: I wanted to give a fact about vision, and that’s that several types of animals, including birds and some insects, can see ultraviolet, and therefore, they see millions more colors than we can see. MAS SUBRAMANIAN: Yes, that’s true. IRA FLATOW: Andrew, what do you say about that? ANDREW PARKER: Yeah, absolutely. We have quite a good range of vision, actually, going from violet to red– that’s 400 to 700 nanometers. But just beyond the violet, you’ve got a range of ultraviolet from about 360 to 400 nanometers, and lots of animals do see that. In fact, most insects, and birds, and even a lot of fish and amphibians. So there is a part of the world that we just don’t know what’s going on. 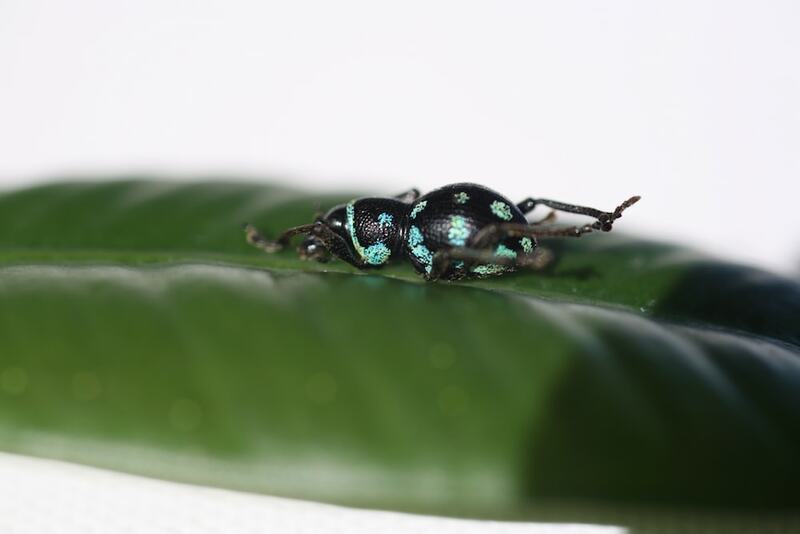 Insects are finding flowers, and birds are finding insects, and we have absolutely no idea how they’re doing it, because we can’t see those private ultraviolet signals that are all around us. MAS SUBRAMANIAN: Can I add something to it? MAS SUBRAMANIAN: I’m sure Andrew knows about this– there is a crustacean called mantis shrimp, which has, I heard, about 11 or 13 cones, where we will only have three cones in our eyes. It can see more wavelengths than humans can. So definitely, there are animals which exist which can see better than us– are more diverse. ANDREW PARKER: That’s right. The mantis shrimp can distinguish colors more accurately than us. But interestingly, that’s a marine animal, and in the sea– we’ve just been talking about blue, and blue is the color that transmits best through water. As such, eyes evolved in the deep sea to see only blue light. And in fact, some animals, like mammals, in evolutionary history, went into deep water where only blue light from sunlight exists– all the other colors don’t make it that far. And so they evolved eyes that only see blue. And when they came back up to the surface in evolutionary time, they couldn’t reevolve those receptors, so now they’re stuck with, effectively, black and white vision. ANDREW PARKER: Another interesting thing about that deep sea, because it’s totally blue, most animals living there are either red or black. Red won’t reflect any of that blue light, so anything that’s red will be totally camouflaged until, that is, the dragon fish evolved. The dragon fish evolved red bioluminescent lights and a red color receptor in its eyes. So it goes around now, shining red lights all around the deep sea, and catches out all those animals that would otherwise be totally camouflaged in that region, and it just has a free-for-all, effectively– it can just see everything. It can see all those different prey– all those little shrimps and tiny fish. IRA FLATOW: That’s really fascinating. I didn’t know that. Mas, in the short time I have left, I want to ask you this. You were talking about the difficulty of making certain pigments without toxic chemicals before. Why can’t artificial intelligence help us predict which combinations might get some of the sought after pigments? We use them for all these things– isn’t there a computer model that will say, yes, this color will pop out if you mix this stuff? MAS SUBRAMANIAN: Well, that is an interesting question. In fact, there are lots of computer scientists who are trying to model how to create compounds with the desired properties, just like a color or electronic properties, and so on. It is not easy to do it because sometimes they create materials which are stable only in computers, not in furnaces. It’s very hard to make them in the lab. 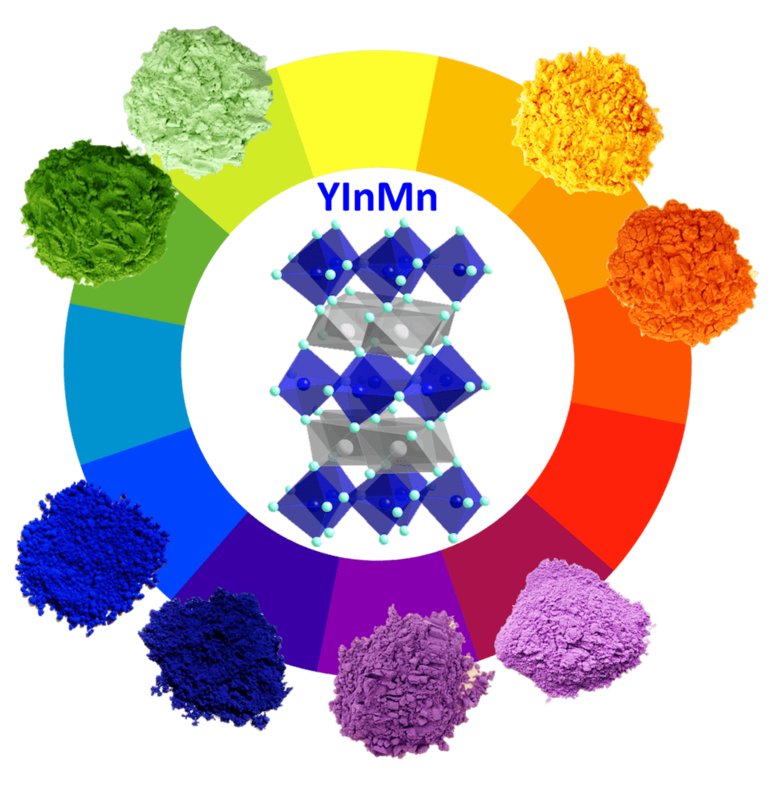 That’s why the YInMn Blue was never predicted before, although, companies have been looking for a new blue pigment for hundreds of years. The last blue pigment discovered was cobalt blue, which was 1802. So it’s not easy to predict them, but you can try to rationalize them and say intuitively, or some chemistry principles– trial and error is still important in making discoveries. That’s why most of the pigments were discovered by accident– Prussian blue is another example. IRA FLATOW: That’s a great way to end that. I can’t think of a better way to end our segment. I want to thank you both for taking time to be with us today. Mas Subramanian is a professor of material science at Oregon State University, and he joins us by Skype. And Andrew Parker, research fellow at Oxford University’s Green Templeton College, and author of Seven Deadly Colors. And you can see photos of some of the phenomena we discussed on our website at sciencefriday.com/color. Thank you, gentlemen, for taking the time to be with us today. MAS SUBRAMANIAN: Thanks a lot for having me. ANDREW PARKER: Thank you for having me. Researchers have identified several gene regions linked to synesthesia, an unusual crossover of the senses. Meet the farmers who want to make cheap, environmentally friendly kelp America's next favorite vegetable.